Congratulations to Mark from UP Singapore, you are Global Client of the Month for July! 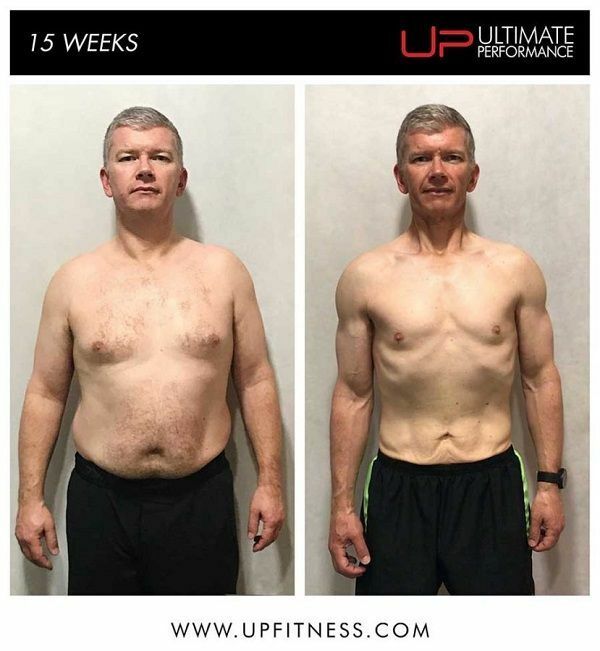 Mark wanted to take his training to the next level, and committed to the UP lifestyle for 6 intense weeks to reshape his body. Physically and mentally, he feels as though he’s had a new lease of life. “I'm literally a different person,” he says. Before his transformation, he had made poor nutritional choices, and only realised how integral diet would be in reforming himself when a tailored diet plan was provided to him by UP. According to Mark, the flexibility of UP and the trainers are what makes it easy to make time to train with a hectic lifestyle. With so many of us caught up in work and family commitments, UP understand the value in being as flexible with client schedules as possible. He also says that his transformation is more than just about the physical, and what can be seen in pictures. It’s made him more alert, more aware, and has given him what he calls, “a tangible zest for life." All it takes to transform your body, your fitness and your health is a goal...and a little motivation. Darren's goal was to lose a few pounds to help him take on a 100-mile cycle ride around London's Olympic course. 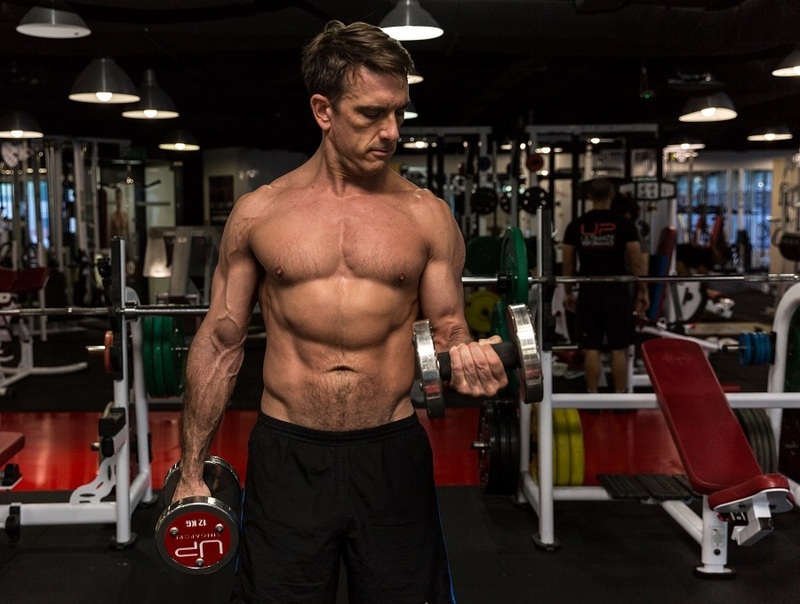 But 51-year-old Darren lost more than a few - he ended up shedding 41lbs (18.6kg), halving his body fat, taking 25cm off his waist and building a stronger and leaner new body in the process. Simple changes to his diet and a progressive weight training programme with his Ultimate Performance personal trainer helped him make this stunning transformation in just 15 weeks. The Fortnum & Mason director said: "I have achieved far more than expected in terms of weight loss. But also the discipline of the food plan and sticking to it were major achievements for a food lover and snack addict!" "If you put the effort and discipline into the plan you will get results. It is hard at times, but work through it...and save money for new clothes!" If you want to transform your health, your appearance and your life, then go all-out! 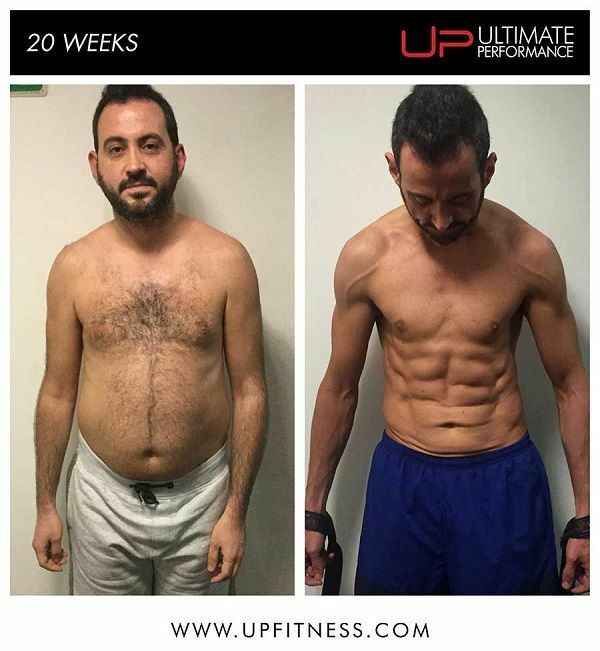 This is what Panos did and his body transformation results after 20 weeks of working with Ultimate Performance were astonishing. The London accountant was ready to make a big change in his life and wanted to turn his health around after years of doing an inactive desk job, no exercise for over 15 years and smoking 20 cigarettes a day. That's exactly what he did - and 20 weeks later he is 16kg (35lbs) lighter, leaner than he's ever been and with a physique that would be the envy of most men half his age. Where you start is not important - it's where you can get to with Ultimate Performance that really matters. 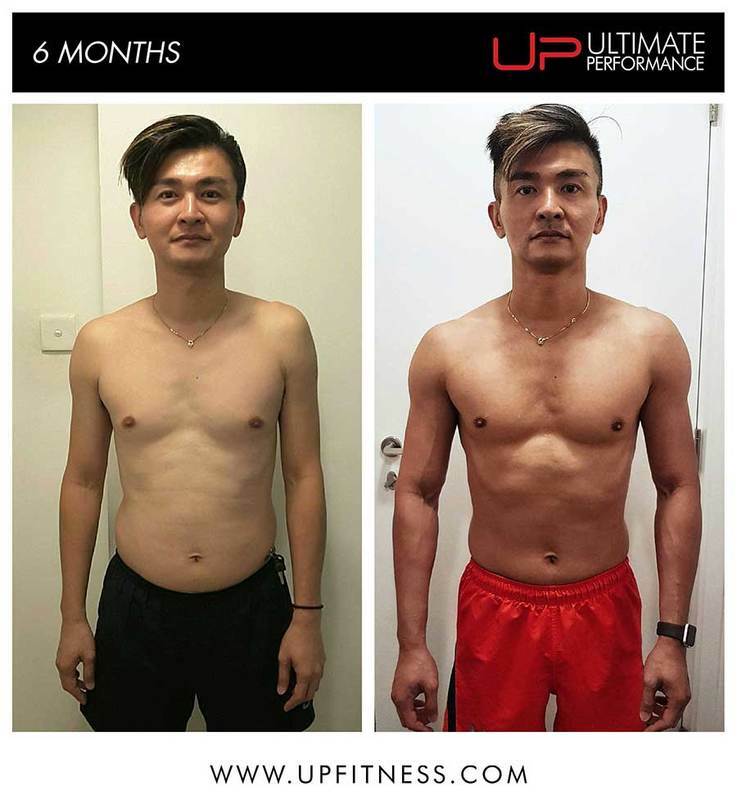 Soo proved the sky really is the limit after achieving a body transformation with UP he thought was impossible. The 45-year-old had never trained before and says his lifestyle of eating out and enjoying wine had taken its toll on his health. He had felt his age was holding him back from getting the body he wanted and was lacking the direction or motivation to achieve the results he wanted in the gym by himself. Fast-forward six months and Soo is a completely different person - stronger, fitter, leaner and more motivated than ever. His before and after results are proof of what anyone can achieve at UP. The difference between a good body and a truly great physique is having an expert personal trainer. This is what Client of the Month Derek found after 12 weeks training with his world-class Ultimate Performance trainer. 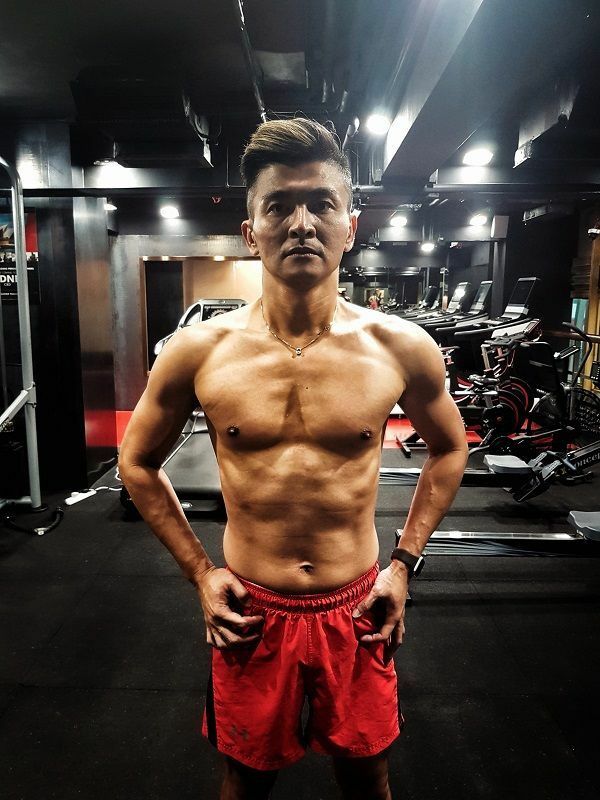 He was in good shape already, but he wanted to take his body to the next level to compete in his first ever men's physique bodybuilding show in Hong Kong. Working under the guidance of his personal trainer to get maximum results on his training and nutrition helped him achieve that show-stopping physique. His results after 12 weeks at UP speak for themselves. "I had no doubts about the personal training," says Derek, who is assistant manager at Lululemon. "I knew that I wanted to extend my knowledge, improve my form, and most importantly find diet information that would get me contest ready for my show. The team at UP exceeded my expectations." 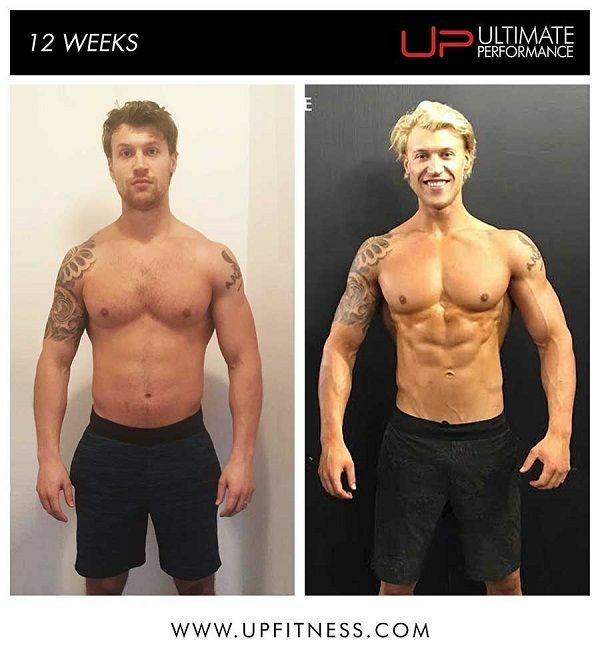 Over 12 weeks at UP, 27-year-old Derek was able to cut his body fat down to a shredded 7.7% while maintaining his strength to get in the best shape of his life for his bodybuilding contest. Woody's diet and lifestyle was leaving him low on energy. But it's incredible what a different even just eight weeks can make - now he's leaner, stronger and more energised than ever after his UP body transformation. "I would definitely recommend UP. 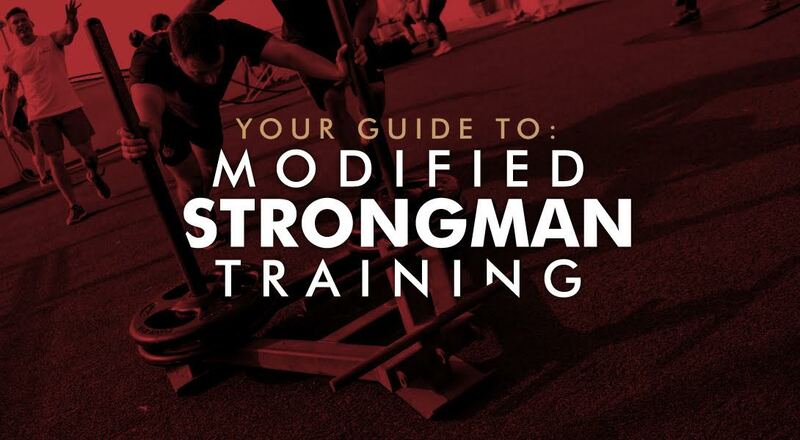 It changed my outlook on training and diet and my lifestyle completely." "I've reached new levels of motivation and it made me reach my full potential and that's why I came here because I really wanted to see how far I could push my body and my mind and my strength." "UP has been able to show me that you can do it. You've just got to be able to put your mind to it and work hard and it's there - anyone can do it." Nothing can compare to feeling on top of your game both physically and mentally. This was something sales manager Shubeeh had lost as he edged towards 40. 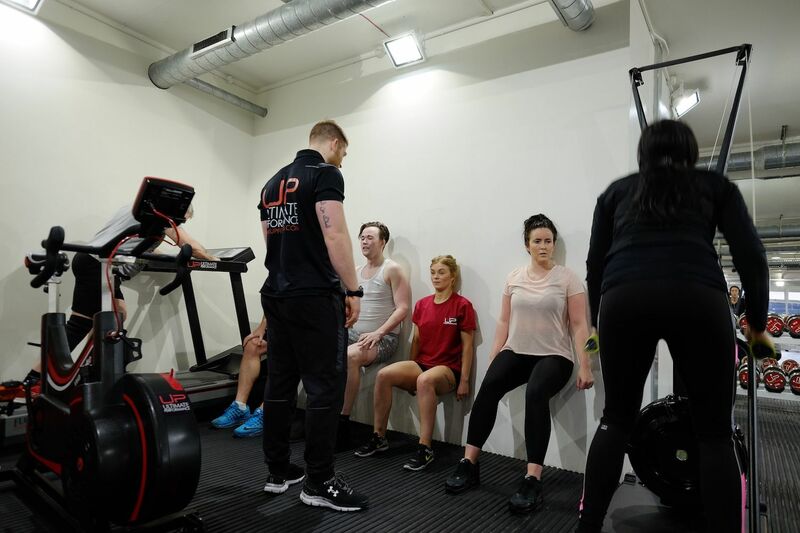 The Manchester sales manager says he felt tired, overweight and demotivated before started his transformation journey at Ultimate Performance. After just 13 weeks the 38-year-old has transformed his health, his physique and his lifestyle - getting his 'A-game' back. Now he says his confidence and his energy levels are sky high, and his whole outlook on life has improved. Coming to Ultimate Performance gave him the change he was looking for in his life. Simple changes to his diet and nutrition under the guidance of his personal trainer made a profound difference both to the way he looked, but also the way he felt. Leading film star Waldemar Torenstra built his ultimate body for a new TV series in just 16 weeks at Ultimate Performance Amsterdam. 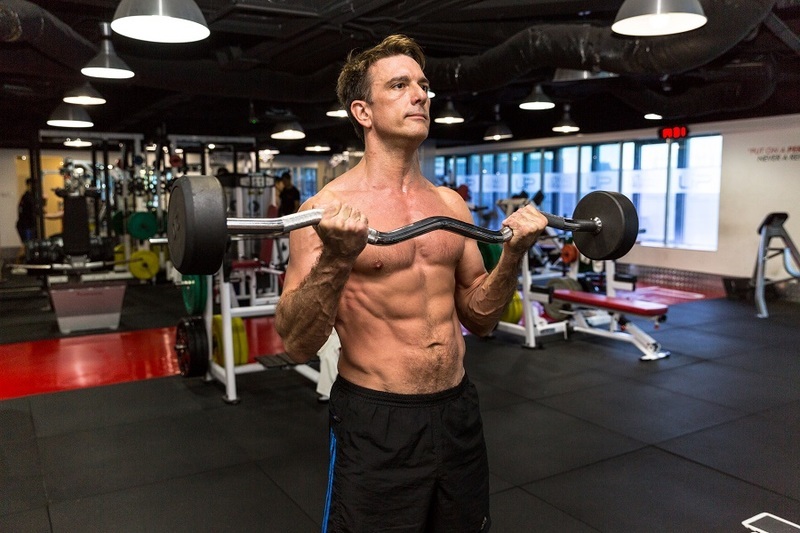 The 43-year-old actor forged a lean and muscular physique for his most challenging role yet - playing a kickboxer in the series Vechterhart. Waldemar's character is an ageing heavyweight who is making the switch to Mixed Martial Arts - so the actor needed to build an impressive body that would look the part on screen when he came up against real professional fighters. 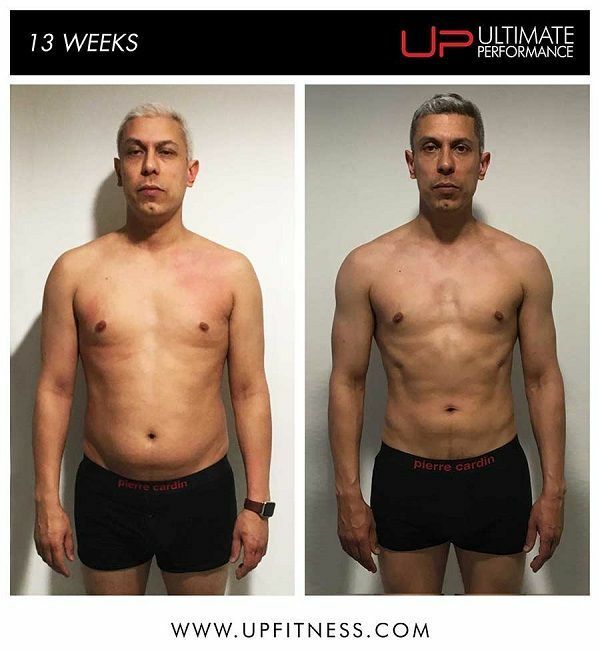 The body transformation results he achieved in just 16 weeks at UP were incredible, resulting in Waldemar achieving the well-deserved Client of the Month accolade. He got a six-pack and packed on significant lean muscle, making him look every inch the ultimate heavyweight fighter. Rami was motivated after his young daughter told him he was 'getting fat'. This gave Rami the motivation and drive necessary to achieve amazing results in just 12 weeks with UP, losing a whole 6 kilos. This continued determination saw Rami achieve UP Sydney Client of the Month status for July! "I never thought before that I could have this self-discipline with my training and diet." "The results are much better than what I initially expected." "My PT, David, did a great job. UP surely is highly recommended."